Kiran is a qualified Solicitor with ten years’ experience of residential conveyancing. 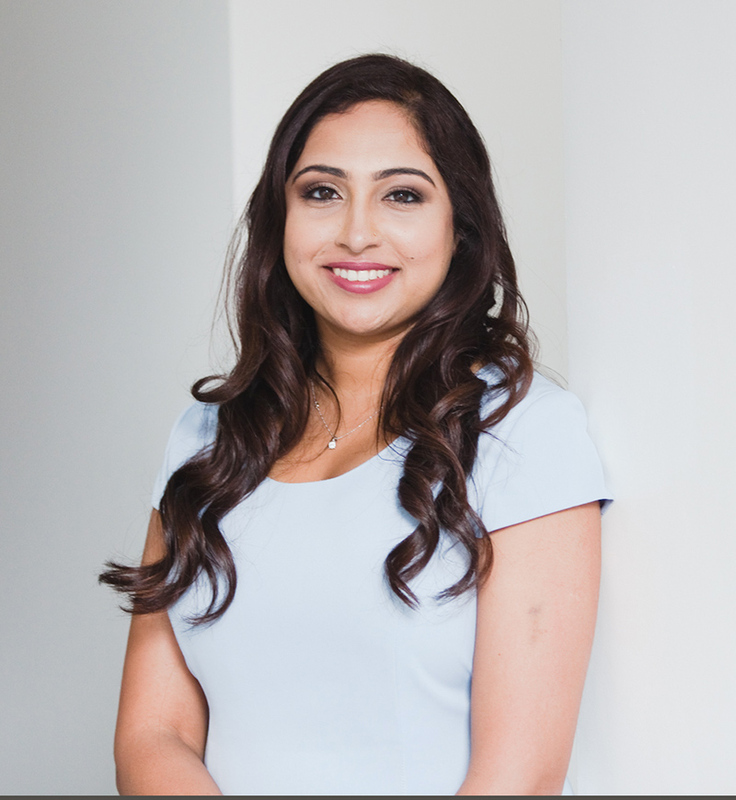 Kiran deals with all aspects of residential conveyancing including sales and purchases, re-mortgages, transfers of equity, equity releases, buy-to-lets, new-builds, off plan development purchases contract assignments, auction purchases, right to buy and shared ownership. Kiran’s knowledge of the residential market is much sought after by her loyal client base who appreciate her careful insights and attention to detail while recognizing that commercial deals are time and cost sensitive. She relishes the challenge of proactively driving each case to successful conclusion and is able to find practical and commercial solutions that make the most of her connections with agents. She works in close partnerships with agents in London, Luton, Chalfont St Peter, Gerrards Cross and surrounding areas. Kiran has the ability to accelerate work for tight deadline and ensures her clients’ objectives are met. The results of this approach are proven and consistent trouble free transactions, a growing list of loyal clients and the ability to respond to increasing volume demand. In her spare time, Kiran enjoys spending time with her family, baking and travelling. Hello Kiran! At last, we are in our new home. Buying a house was very exciting but was also scary! We have started living in the new house, can’t believe all things happened so quickly and nicely. Friends and colleagues are surprised that we got almost settled in new house in no time. Everything happened in given time…. So …huge …huge thanks to you because it could have been not possible without your support and correct guidance. I remember there are instances when you replied us on our query at late evening/ night & during days you have responded us very spontaneously. And very important remark on your one of the best quality – friendly nature and open and honest reply on the query and concerned issues, that’s worth lots of appreciation. Your support meant lot to us .Thank you so much! Really appreciate your all kind of support. Will definitely recommend your services to friends and family. Apologies from us for any kind of inconvenience. You are most welcome to our new house for a Gujarati Dinner. Hi Kiran, We are settled well, thanks. We cannot fault the service we received from you at all. You were very prompt and helpful in every way required. You made the process very convenient and stress free for us, and we would definitely recommend you to friends. I wanted to say thanks for all your help with the sale and purchase. You are fast, responsive and answered all my questions even when bugging you on a constant basis. I shall request to have you as my solicitor in the future and will recommend you to family and friends. I am very happy with the service and thank you for helping secure my home. should ensure my sale process is pushed through with some ease. From the point of instructing Smithfield’s, liaising initially with Nasima then further into the process, Kiran, I must say I was impressed with the service received. I have previously used solicitors for other property sales and my experience has left a sour taste, on this occasion, I have been left more than satisfied. If I was to use a solicitor in these circumstances again, I would consider Smithfield’s, and in particular, Kiran. Kiran kept me updated on a regular basis, was completely honest at all stages, even if it wasn’t the answer I wanted to hear, honesty is key. The process of selling a property is stressful, and with this sale there were certainly a few unpredicted events occur, but with Kiran’s experience I felt assured that eventually all will work out.Kiran is a credit to Smithfield partners, and would be the solicitor I would recommend if anyone needs these services in the future. Thank you for all your hard work that you have put in for a successful completion of this property purchase. I have dealt with different solicitors in the last few years and have found you and your services very helpful and efficient, dealing with queries and feedback promptly. A breath of fresh air from the usual delays and having to chase on progress in my past experiences. I am very pleased with the services you have provided and with dealing with my case personally, professionally and promptly – hassle free with a competitive fee. Once again, thank you very much and I will be sure to recommend you and to use you and your services again with my next purchase. I cannot thank you enough for all your efforts. We can finally move onto the next chapter of our lives and look for the family home we have always wanted. I wanted to thank you for all of the assistance and guidance that you have given us since we engaged with you on the sale and purchase of our property. From the start, you have always kept us informed and up to date with the process and that has been invaluable during what could be a worrying and stressful time for us. You have ensured that everything has been completed and supplied to us in a really timely and efficient manner; you have always replied to any queries and explained things in a way that we understand; and you have always been really professional and friendly. My husband and I both really appreciate your help and have been very impressed with the speed at which you have completed things for us. It has made us feel much more relaxed and confident in the whole process and we would have no hesitation in recommending you. Just wanted to thank you again for your very efficient service and for working so hard to make sure our sale and purchase completed on the same day. Thank you ever so much for the great work you have done for us and I am glad that we also chose you to deal with the bits for Hardy Close. Feedback regarding the sale is all good ? Kept us well informed. Very quick to respond to calls/emails. Helped in calming me down when I had been flapping!!! Lol Professional from start to finish. Just wanted to thank you for your outstanding commitment on getting us to the exchange so smoothly and efficiently. The whole process was daunting for me at first but you put me at ease almost immediately when we got the ball rolling. It makes a big difference to receive a service in a timely and professional manner. It made things so much easier and seamless having your responses almost immediately, which kept things moving at pace. Thanks to you, we have had a really positive experience exchanging on our dream house – for which we are very grateful! Really appreciate it! This is the second time I’m using your firm and still nothing has changed. Working with Kiran is great and amazing, it doesn’t feel like you are working with a solicitor actually it feels like you are working with a friend. Once again I want to thank Kiran again she has made my move easy and by the deadline I wanted even though the other side was very bad. The service we received from you has been excellent. We appreciate your professionalism, transparency, speed and communication. We are glad we chose Smithfield and enjoyed the pleasure of working with your good self as our legal representative. We will choose Smithfield again in future and will gladly refer you to our friends and family as a preferred legal service provider. Thank you for enabling us to achieve a smooth house move. It was a pleasure working with you and I found your service efficient and professional. I would recommend you to others.